Jorge Valdano, a World Cup winner in 1986 and former Real Madrid manager, is one of the wisest voices that Argentine football has produced. In the build-up to the Copa Libertadores final first leg between Boca Juniors and River Plate, he predicted that the atmosphere in Boca's Bombonera stadium would be of "indefinable tension, like there is in the air a minute before a hurricane." In the event it was not a hurricane, but a deluge of rain that pushed kickoff back by 23 hours. The delay served to crank still higher a level of nervousness that already appeared close to breaking point and the general impression was that none of this would not be conducive to an attractive spectacle once the game began. Valdano certainly did not think so, bemoaning that "it is about not losing more than winning because, for some time now, in Argentine football the humiliation of the rival is given more importance than your own satisfaction." And then, flying in the face of such predictions, Sunday's encounter between Boca and River was a pulsating 2-2 draw, a game worthy of the occasion. Much of the credit has to go to Marcelo Gallardo, the River Plate coach. Suspended for the match and banned from the stadium altogether, he put in his work beforehand to prepare a side that surprised Boca and took the early initiative. There were two shocks. One was his decision to go with a three centre-back formation, which almost paid quick attacking dividends. Boca had clearly not prepared to mark Lucas Martinez Quarta at set pieces and the young defender headed wide from a corner when it might have been easier to score. 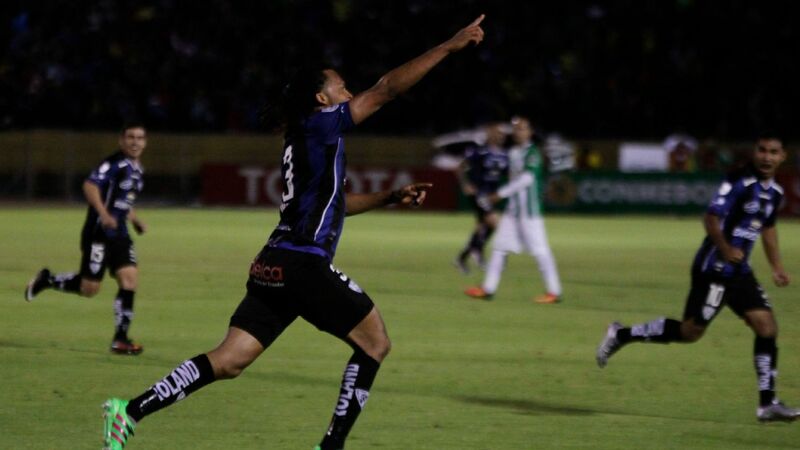 The other surprise was the way that River left-winger Gonzalo Martinez was employed. The expectation had been that he would take his usual position wide, with Lucas Pratto operating as a withdrawn centre-forward. Instead, Pratto was pushed to the flank, with Martinez orchestrating proceedings from a central position. Boca were caught unaware and River established control. Twice River came from behind the earn a share of the spoils at La Bombonera. However, in a match of fascinating ebbs and flows, the hosts were -- bizarrely -- helped by an injury to their star player. 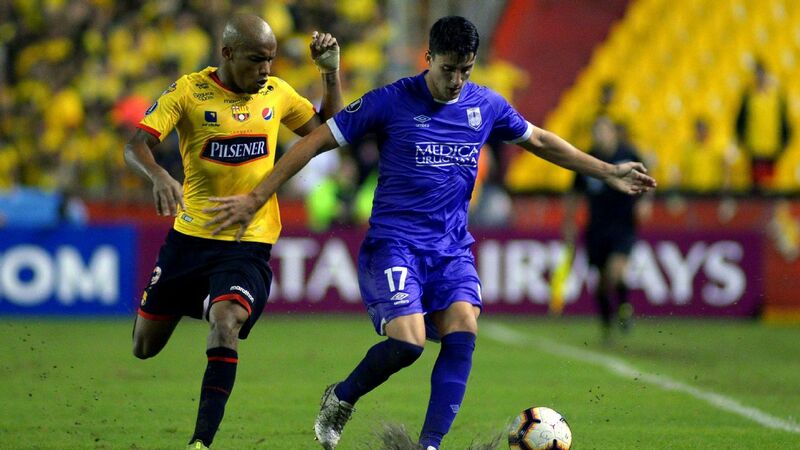 Winger Claudio Pavon, a member of Argentina's World Cup squad, pulled a hamstring and had to limp off after 26 minutes; on came in-form centre-forward Dario Benedetto, who scored in both legs of the semifinal and three times in all vs. Palmeiras. The change saw Boca improve instantly. Their 4-3-3 formation, with Pavon and Sebastian Villa used as wingers, had left the team looking stretched out. Benedetto's introduction led resulted in a switch to something more like a 4-4-2, which was more compact and enabled quicker, better ball movement. 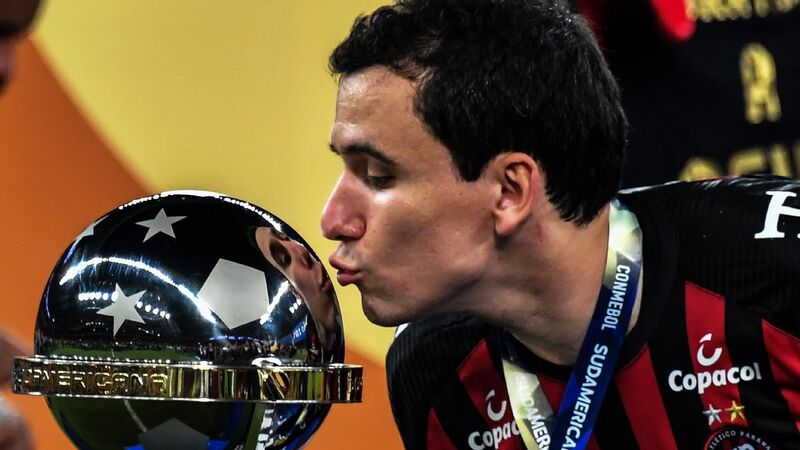 The benefit was seen in the game's opening goal, when a collective move was rounded off by Boca's Ramon Abila, who fired past keeper Franco Armani at his near post. 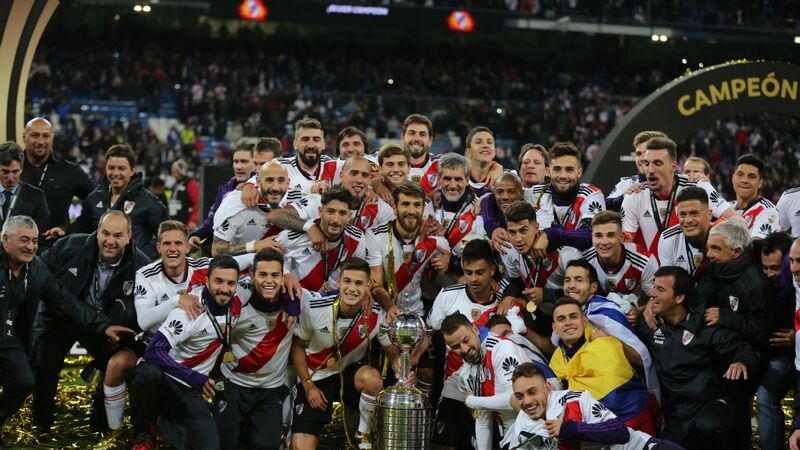 However, the lead lasted mere seconds; just eight, in fact, transpired between the restart and Martinez slipping Pratto through to equalise for River with a cute shot cut back across goal. The chances were now coming thick and fast and, though River would have been happier with the pattern of play in the first half, they went to the interval a goal down. Benedetto won a free kick and when Villa struck a cross into the penalty area, the substitute took advantage of slack marking to glance home a header. After the break, Boca started to exert a stranglehold and River were obliged to make a formation change of their own via Mathias Biscay, Gallardo's faithful assistant. The three centre-back system was abandoned, with attacking midfielder Nacho Fernandez coming on for Quarta. The idea was to get higher up the pitch and take advantage of space that Boca were leaving down their left. Almost immediately, River won a free kick in that very zone. 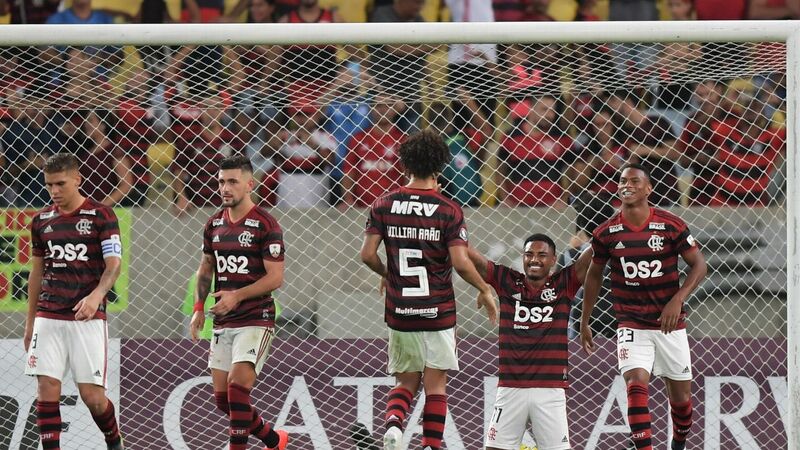 The delivery from Martinez was excellent and, under pressure from Pratto, the ball glanced off centre-back Carlos Izquierdoz for an own goal. Half an hour remained, but the game's intensity was not sustainable as a heavy playing surface and tension surrounding the build-up took a toll. Tired limbs and drained minds filled the Bombonera pitch, though there was an interesting cameo off the bench from Carlos Tevez, who set up Benedetto for a chance that Armani blocked, having raced off his line. 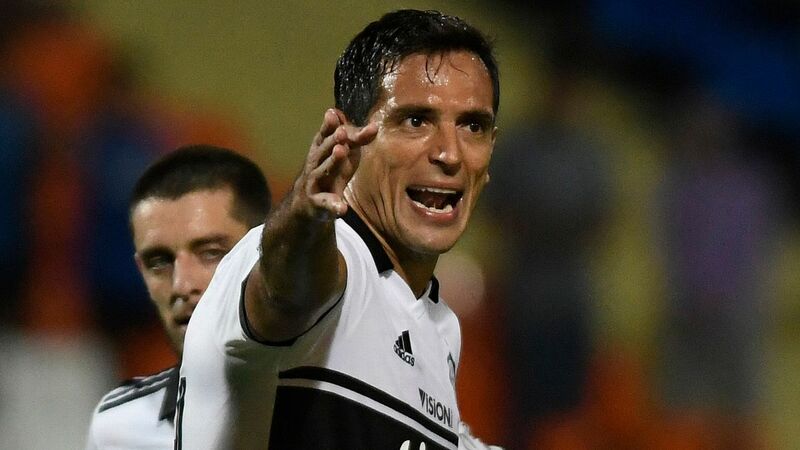 The 2-2 draw is a good result for River Plate, but there are two pieces of bad news for Gallardo and Co. First, the away goals rule is not in operation for the final and, second, Rafael Santos Borre, such an important part of their attack, will miss return through suspension. Of the 10 players who went into Sunday's game walking a disciplinary tightrope, he was the only one to fall foul of referee Roberto Tobar. And so attention turns to the second leg, which is set to be played on Nov. 24 at River's El Monumental. 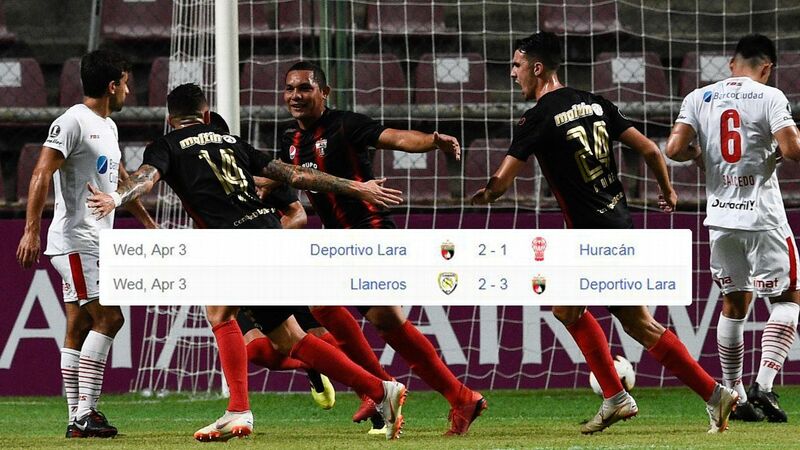 After the drama and thrills of the tie's first half, a massive global audience will tune in to see which of these great Buenos Aires rivals will be crowned Copa Libertadores champions.